NI’s mission is to provide engineers and scientists with systems to promote scientific discovery and progress. As part of this mission, NI offers hardware and software products for use with a variety of Linux distributions and versions. The systems span both desktop and embedded use cases, and address the needs of those using Linux across academia and industry. NI created NI Linux Real-Time, a new Linux distribution with built-in industrial-grade real-time capabilities. Intended for embedded systems, it offers real-time performance with the approachability and usability of a desktop OS. NI Linux Real-Time is fully supported by the LabVIEW Real-Time Module. Through years of R&D development, the work of the open-source community, and partner contributions, NI Linux Real-Time was designed specifically for reliable and deterministic operation in long-term deployments while offering security improvements and increased resiliency to application crashes. National Instruments is a Silver Member of The Linux Foundation and a key contributor to PREEMPT_RT real-time patch set. The Linux Foundation is a nonprofit consortium dedicated to fostering the growth of Linux and collaborative software development. NI products for desktop Linux include select hardware drivers and LabVIEW software. 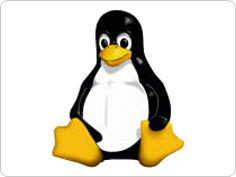 In addition to third-party desktop PCs, Linux desktop support is also on PXI and PXI Express controllers. Linux desktop support is limited to Red Hat Enterprise Linux (both desktop and workstation versions), Scientifc Linux, and openSUSE. NI Linux Real-Time targets allow you to use code from the Linux ecosystem; reuse in-house code; and develop, deploy, and debug C/C++ code using Eclipse or your IDE of choice. Customers spanning industries from energy to aerospace to industrial control use hardware based on NI Linux Real-Time to complete their control, monitoring, and test applications. For those more familiar with Linux and looking to take advantage of the benefits of Linux alongside a LabVIEW Real-Time application, the NI Linux Real-Time Community offers practical how-to documentation and a forum for questions specifically on NI Linux Real-Time. The registered trademark Linux® is used pursuant to a sublicense from LMI, the exclusive licensee of Linus Torvalds, owner of the mark on a worldwide basis. Permission to use and/or modify the penguin image is granted by Larry Ewing and The GIMP.